It’s CBS, so of course we’re dealing with some sort of crime. This time, they’re looking to prevent murders. First, there’s some naked time. Who are these people, why are they naked? Then, a gang is being shady on the subway (and not selling candy for their “basketball team” or stealing iPhones like in Chicago. . .), and try to steal the whiskey bottle from the homeless guy (who looks a little too much like an actor in makeup, for me. .. like when dressing as a hobo for Halloween was really popular. He’s just missing a bindle.) Anyway, stealing alcohol from a homeless dude just seems mean. Except when he can fight back! Eat fist, jerkfaces! Popo grab all of them, and try to interrogate the homeless guy, bu he won’t tell her anything. He gets to lawyer up because a fancy lawyer, hired by a mystery man, shows up. Homeless dude goes to a hotel and cleans up (read: washes off his makeup) to look a bit like Matthew Fox. Hide your boobies, bus drivers! Turns out the mystery man is Michael Emerson, my favorite actor from Lost. I was so excited to hear he’s back on tv! He knows everything about our mystery man. Especially that he used to work for the government, but doesn’t now, and has been trying to drink himself to death or maybe kill himself in another way that’s less expensive and faster. At least it’s not the result of a Ponzi scheme – the most overused plot device of 2011. Michael Emerson’s character, “Finch” (which just makes me sing “Rosemary” from How to Succeed in Business Without Really Trying in my head. Anybody? No? Ok. . .) built a super computer after 9/11 to spy on people, gather information, and sort it into “relevant” and “irrelevant”. Kinda like how I feel recapping crime procedurals. Turns out they’re getting info that, while not relevant to terrorist attacks, could be relevant to a kidnapping or murder. And he feels like he has an obligation to use it. This week’s case has them trying to figure out why a prosecutor may be involved with a murder (killed, killer, it’s not clear). She’s on the “list” (like on Lost, when Ben Linus had a list of the Losties, but then it was actually from Jacob. . .), which is based on Social Security Numbers. Reese (the Homeless guy’s last name), tracks down a bunch of dirty cops (I hope Justin Timberlake’s voice also runs through your head when you read that), in order to protect the prosecutor. It turns out, she’s the one leading them! They catch Reese, and she demands that they dispose of him. In the car with a dirrrty cop, Reese makes him an offer he can’t refuse to have him help him out. Somehow, Reese snuck a grenade and some other stuff into the car and is like “I’ll let you live and you’ll help me.” Done and done. 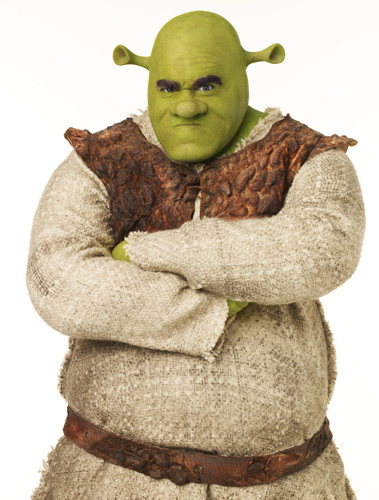 Meanwhile, the lady prosecutor’s former lover and coworker is onto her (Brian D’Arcy James from Shrek the Musical), so she sends the dirty cops to take care of him. He’s with his young son, and they were planning on taking them both out, but Reese makes sure that doesn’t happen. Previously, we learned that Finch is anti-killing, but Reese basically explained that they’re dealing with bad people and that you kinda need to be ok with doing what you have to do to defend yourself and protect people. With that logic, he kills Stills, the dirty cop who was Mr. Threats and gonna take out the dad and boy. So, finally Reese get the prosecutor by airing a recording of her saying to take out Wheeler in court. Then, he gets his dirrty cop friend to drop Stills in Oyster Bay. . .because he shot him with Dirrty Cop’s gun. Michael Emerson talks to him some more and they decide to keep going. And Reese walks around NYC with a two huge bruises on his face and nobody bats an eye. This show was interesting. It’s produced by J.J. Abrams, so of course there are some flashbacks to help inform these characters. I trust J.J. Abrams with a lot of my tv (and yes, I forgive him for What About Brian? ), and I trust that this show will continue to be intriguing and will hold some surprises. Michael Emerson’s character seemed a bit similar to Ben Linus in the later seasons of Lost, when he was a bit more vulnerable, but damn, that man can act. It’ll be interesting to see this character develop to be different from Linus. Verdict: Oh man, this makes me sad that my DVR is full for this time slot. I expected to love it and only liked it, but I’ll watch it online to see if it grows on me more. Prediction: I think it will do pretty well. . .J.J. Abrams has quite a following. I’m just nervous, given that it’s up against another crime show and Grey’s, but I think The Office will be losing some viewers, and this may be where they go. I predict a Season 2. Person whose relative is a reference to Bernie Madoff: No, and it would have been easy for them to do. So, kudos. Pearl of wisdom: “Only time you need a name now is when you’re in trouble.” Said right after I felt bad they kept referring to the homeless guy as “the bum” at the police station. Weird Local News Promo Content: What they found out about strangers over a cup of coffee. Don’t trust anyone!! Oh my gosh! That’s: Brian D’Arcy James! "Thank you for filming in NYC and hiring Broadway actors, so Maureen can nerd out." This entry was posted in Uncategorized and tagged Fall 2011 TV, Michael Emerson, Person of Interest. Bookmark the permalink.